Training course “Storm Survival Training” provides theoretical and practical knowledge about safety at sea, survival in difficult weather conditions and actions in emergency situations on board. 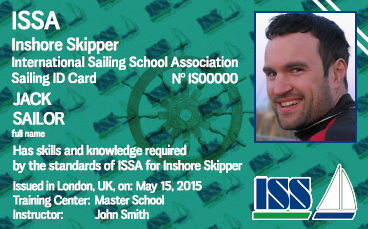 This training course is a good addition to ISAF Sea Survival and SCTW95 courses. 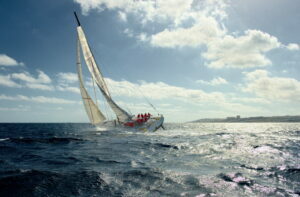 The course has an aim to improve theoretical and practical skills of yachtsmen. 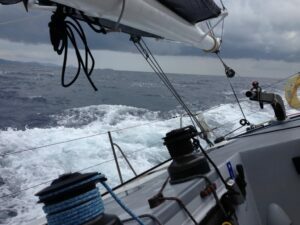 This course continues 7 days and takes place both at day and at night, at wind being not more than 20 knots. After taking of program “Storm survival training” students will be certified for «Competent Crew». After graduation, the students receive a certificate on passing the program “Storm survival training” but the certificate does not entitle the holder to manage the yacht (except for emergencies when the captain of the yacht cannot fulfill his obligations), or take a boat to charter. The main purpose of training. To introduce sailors with reliable and generally accepted methods of survival and safe sailing in all possible weather conditions. Preparing the boat crew to be ready to solve non standard problems. Training should be carried out on a boat between 32 and 45ft LOA, that is equipped in accordance with the requirements of ISAF Category 2 or higher. 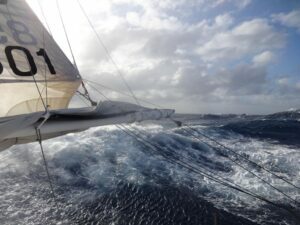 The front sail (Genoa, Jib) can be mounted on a furler. 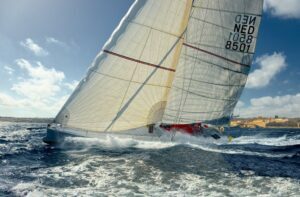 Even a torn mainsail should be able to take three reefs. Use of vertically roll-up Main Sail is not recommended . It is advisable to have extra sails, even torn ones. The instructor, a candidate for the teaching the course “Storm preparation”, must be trained in “Storm instructor training” and heave the following certificates – a captain’s certificate, ISSA instructor certificate, a valid ISAF Sea Survival First Aids certificate. Upon having the above mentioned certificates, the trainees have to prove their sailing experience performing the duties of captain or first-mate no less than 2000nm in the transition mode, with individual runs not shorter than 150mm or 1000mm in regatta mode with a distance of not less than 300 mm without stopping. “Storm Survival Training” course has to be revalidated every three years. Theory: Security on the yacht, the use of personal life-saving appliances. Practice: How to move on board, use of personal life-saving appliances, machinery, working with ropes, winches. Equipment placement, how to fix things in the cabin. Theory: Balancing the yacht. Setting the autopilot. Practice: Taxiing on the wave, taxiing using sails with a fixed rudder blade. Reefing. Theory: What to do in cases of mast or rigging failure? Practice: Working out maneuvers with rigging damage. Seting up the emergency mast. Theory: What to do when the steering system is damaged. What to do in a complete loss of the rudder? Practice: Manage the boat using the emergency tiller. Steering with backup rudder. Steering with improvised means, storm anchor. Theory: Meteorology. Storm Forecasting. Route planning. Practice: Working with maps, chart plotter, navigation programs. Practice: Preparing the boat for a long voyage. Theory and Practice: Putting out a fire. Mitigating damage to the hull. Using pumps systems. Part 2. Theory and Practice: Methods for lifting a person on board. It uses a dummy weighing 80­100kg. Testing MOB maneuver the sails. Sailing in the daylight and the dark. 24 hours. Use of EPIRB and AIS systems. Drift sailing. Drifting with a storm anchor and use of improvised means instead of standard equipment. Summarizing. Verification of theoretical and practical knowledge of students.